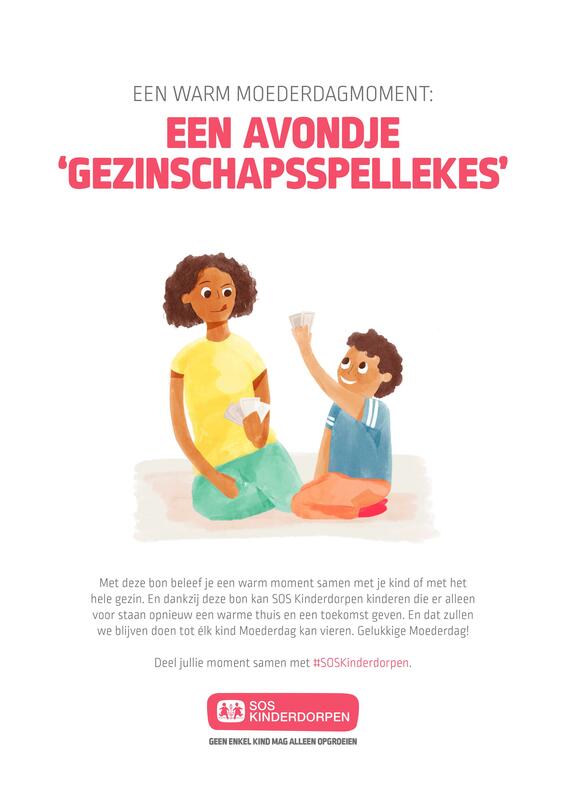 How we helped SOS Children's Villages give moms the Mother’s Day they really wanted. 50% of mothers prefers a warm family moment rather than a physical present for Mother’s Day. That was the conclusion of a research by iVOX, commissioned by SOS Children’s Villages and Bonka Circus. 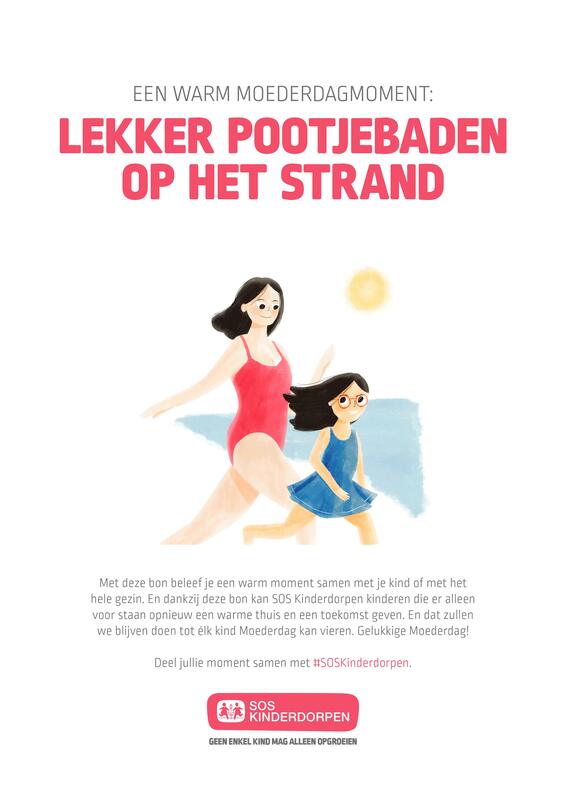 The research was part of our Mother’s Day-campaign for SOS Children’s Villages. 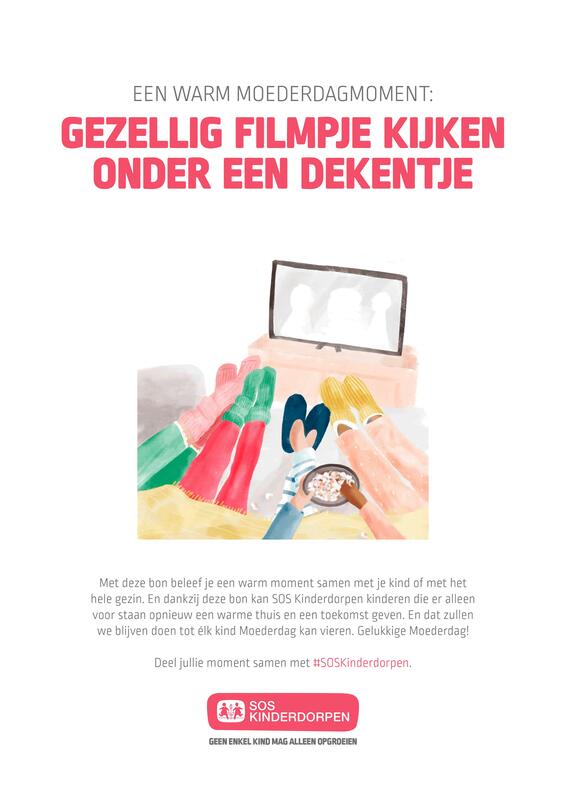 In the week before Mother’s Day we launched ‘Warm Mother Day Moments’ on SOS Children’s Villages’ webshop. These vouchers represented a warm family moment (e.g. a family picnic in the park) that you could give to your mom on Mother’s Day. 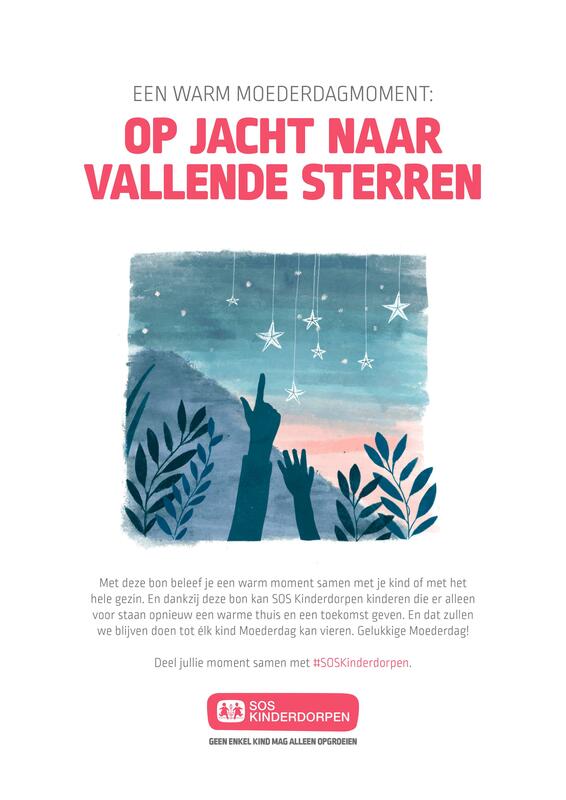 Instead of spending money on a physical present, you could spend your money on a ‘Warm Mother Day Moment’ and thus support SOS Children’s Villages. That way SOS Children's Villages could give children worldwide a warm family, a home and a future again. And according to our research, moms actually prefer a warm family moment to a physical present. Because of the research and the surprising come-out, the campaign was easily picked up by the press. 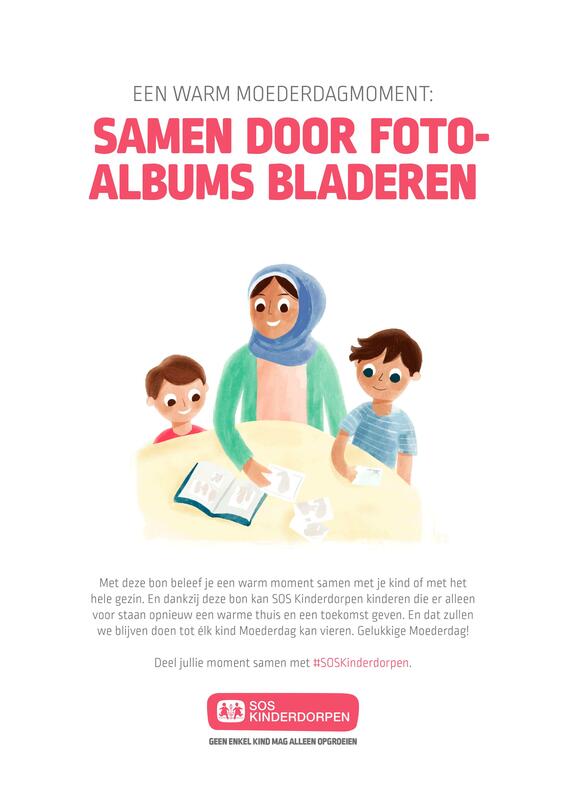 This way the campaign was more than just a funding campaign, but became an awareness campaign to support SOS Children’s Villages’ current proposition: No Child Should Grow Up Alone.